This self-guided walking tour traverses the undulating rural landscapes of the Cotswold escarpment, famed for its honey stone cottages, dry stone walls and delicious local delicacies. 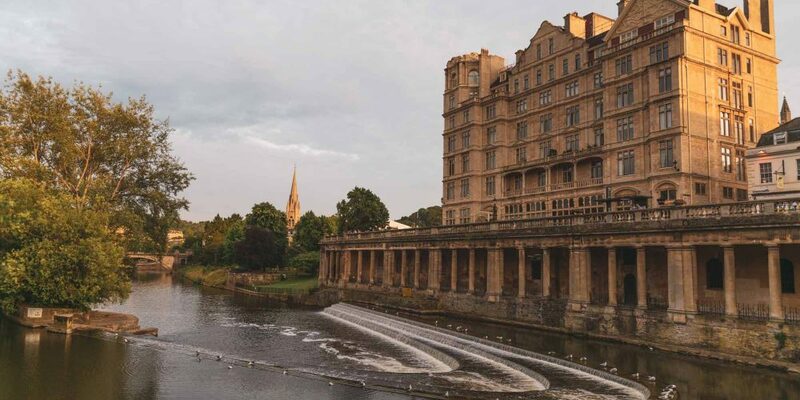 Discover fabulous places to eat and drink as you make your way through idyllic English countryside to the elegant historic city of Bath. Bespoke daily mileage and holiday duration available. 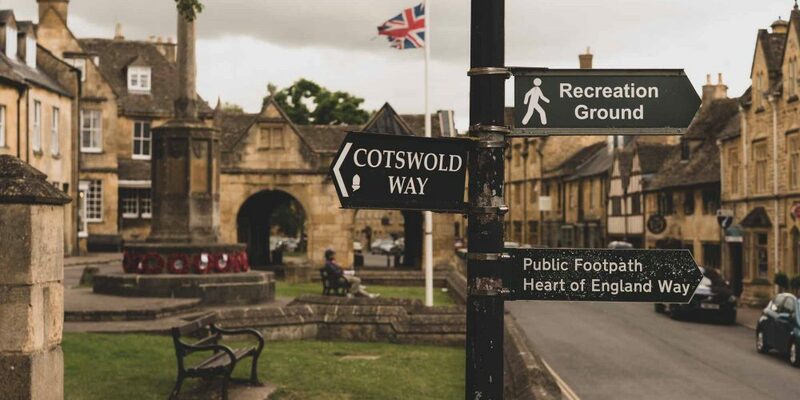 Experience the quintessential Cotswolds, starting in the village of Chipping Campden at the northern start of the Cotswold Way and ending in the elegant spa city of Bath to the south. 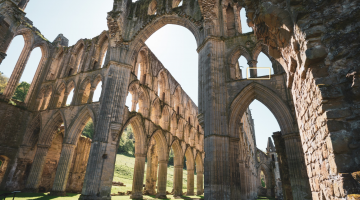 The walk traverses varied Cotswold countryside along an established, well-marked path, taking in stately homes, gardens and castles along the way with stops and overnight stays in typical Cotswold towns and villages. The daily mileage is gentle to moderate with the occasional strenuous slope with outstanding views as your reward. On an eleven-night tour, the average daily mileage is around 10 miles (subject to your accommodation), although the mileage can be increased or decreased according to the preference of the walker. 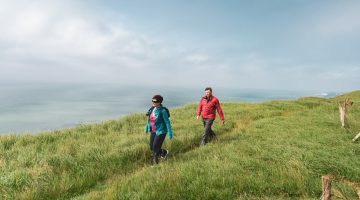 This itinerary is being operated by Compass Holidays, who specialise in walking, cycling and activity short breaks and holidays in a variety of UK, European and worldwide destinations. With more than 25 years’ experience, Compass Holidays allow you to get under the skin of the history, culture and natural beauty of some of the world’s most iconic and stunning locations. Compass will arrange your whole tour: you just need to arrange transport to your first location. Fully comprehensive tour pack with maps, available in English, German, French and Italian as standard, with other languages available on request. Access to our 24/7 helpline in case of any emergencies. Compass can also arrange airport/train station pick-ups and drop offs at an additional charge. Starting in the pretty Cotswold market town of Chipping Campden, this 102-mile route follows the ridge of the Cotswold escarpment through delightfully undulating countryside and picturesque villages to Bath. Daily distances are very manageable to allow plenty of time for further discovery and exploration. Check into your accommodation and explore the lovely shops, tea rooms and beautiful high street in the town. Chipping Campden is a traditional market town, with preserved historic features dating back as far as the 14th century. It is also one of the earliest examples of deliberate town planning with a charter from King Henry II to set out a plan of the town. 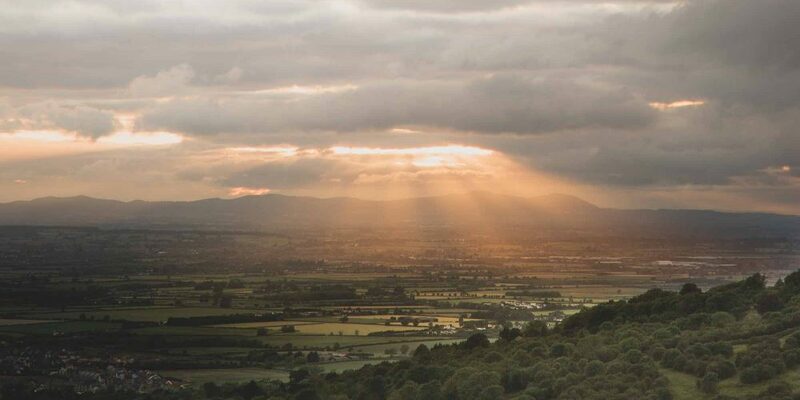 After a steep climb up from Wood Stanway onto the escarpment, you will be rewarded with magnificent views across the Vale of Evesham towards the Malverns. Passing the Iron Age hill fort of Beckbury Camp, the Trail continues through farmland to Winchcombe. Stay overnight in this “Walkers are Welcome” certified town and explore its Neolithic, Roman and Medieval past. Explore Sudeley Castle & Gardens, the only private castle in the UK, and final resting place of Catherine Parr, Henry VIII’s final wife. 12 km/7.4 miles. The Trail follows quiet tracks, lanes and paths into Crickley Hill Country Park, with its excellent viewpoints and archaeological history, as well as a great café for a pitstop. There is evidence of historic settlements from as early as the Neolithic Period, as well as an Iron Age Hill Fort. The Trail then crosses the undulating grassland of Barrow Wake before heading into woodland to emerge at Birdlip. 9.6 km/6 miles. Continue through Dursley then climb steeply up Stinchcombe Hill followed by another ascent to the Tyndale Monument and Brackenbury Camp Hillfort, with views over Wotton-under-Edge. 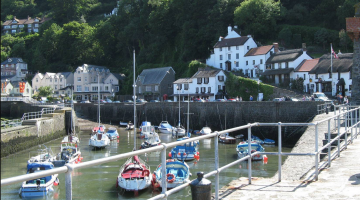 Compass Holidays use a variety of pubs, guest houses and B&B’s, all of a minimum 3 star grading standard. All accommodation providers are well established and understand the needs of walkers along the Cotswold Way. Overnight stays include famous old pubs such as The Eight Bells, The Ebrington Arms, The Churchill Arms – all in Chipping Campden; the Royal George at Birdlip and the Rising Sun Hotel on Cleeve Hill. In Bath itself, the Wheelwrights Arms and The Boathouse are highly regarded. The nearest airports for the trail are Birmingham and Bristol, however access is still easy from London. Trains to Cheltenham Spa or Moreton in Marsh provide the best start with the option of a bus to Chipping Campden or alternatively Compass Holidays can arrange a transfer for a small additional charge. The sea ports of Dover, Portsmouth or Southampton will require a train journey to Cheltenham Spa/Moreton in Marsh and then a bus or transfer as outlined above, or with prior notice Compass can arrange parking for your own car. A number of local buses and taxis run along the route. Compass Holidays will be more than happy to assist visitors in booking a taxi transfer. Local timetables can also be obtained and shared with visitors. The times are seasonal and vary throughout the year. London Paddington to Moreton-in-Marsh (app 1hr 45min) then bus to Chipping Campden (app 45min) or taxi (app 15min; 10 miles). Birmingham Moor Street to Stratford-Upon-Avon (app 50min) then 7 min walk to bus stop then bus to Chipping Campden (25-45min). 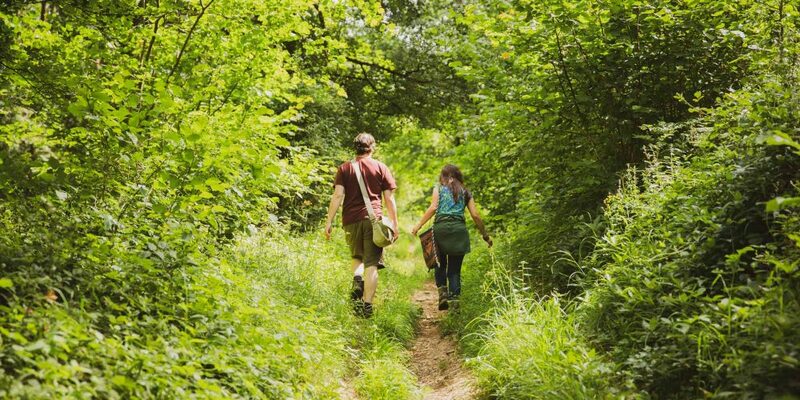 The Cotswold Way is extremely popular during the summer months, however walking in the springtime enables the sights of new blossom and animals. Autumn provides a spectacular explosion of colour. If you are reasonably fit then you will be able to walk the Cotswold Way, there are a number of steep hill climbs, which can prove more challenging. The overwhelmingly rural landscapes of the Cotswolds are something of a foodie paradise, where a string of enchanting old inns make the most of abundant local produce. Along the route, look out for Gloucestershire Old Spot Sausages, Double Gloucester and Single Gloucester Cheese, Stinking Bishop Cheese, Bibury Trout, Tewkesbury Mustard and a vast array of local ales and beers and ciders. Ask Compass Holidays for recommendations of where to eat within your budget, but be warned there are so many places, it might be hard to make your mind up!